How Fast Should Tap Water Be Heating? If you’ve ever stepped into the shower expecting it to be hot and comforting, only to be met with lukewarm or even cold water, you understand how annoying it can be! You might find that you must turn your dial hotter and hotter all the time just to get the temperature warm enough to take a relaxing shower. If someone else beat you to your morning shower, you might also have to deal with all the hot water being “gone.” As you might expect, water heater problems are anything but fun. To figure out how much water you have left after someone else in your house takes a shower, there’s a simple math equation you can follow—but you shouldn’t have to stand in your bathroom solving equations every morning. What’s more important is the capacity of your tank, the available gallons of hot water, and the type of heater you have. There are several different types of heaters that can affect how long it takes for your water to be heating up. It’s important to know the size of your water heater when it comes to figuring out how much water will be available to you. During your water heater installation, make sure your water heater service provider gives you this information. They vary in size, but the most common is 40 gallons. If you have a larger heater, it will take longer for the water to warm up. If it seems to be taking an unusually long time for your water to heat up, the best thing you can do is to contact a 24-hour plumber. Water heater problems aren’t uncommon, and some of them can be fixed quickly. There are a few things you can do on your own to try reducing the time it takes for your water to get warm. One of the easiest things is to make sure your showerhead flow rate isn’t too low. The lower the flow rate, the longer it will take for the water to heat up. Other common problems include things like your water heater being far away from the shower itself, the pipes being too small, or you could simply have a water heater in need of repair or replacement. When Is It Time to Repair/Replace My Water Heater? If you simply have an insufficient tank size for your needs, you might also want to consider replacing your hot water heater. It should be able to provide daily hot water for you and your family without having to bargain for shorter showers. One of the best options for replacing your hot water heater is to try a tankless water heater. These heaters are still relatively new, but, because water isn’t being stored in a large tank, it takes virtually no time to heat up. Essentially, you and your family can enjoy unlimited hot water. Still, traditional hot water heater models shouldn’t be forgotten. It all depends on your individual needs, your budget, and what you should expect from a hot water heater. If you have questions about your hot water heater, or you’re wondering about installation or repairs, please contact us at Christianson Air Conditioning & Plumbing. 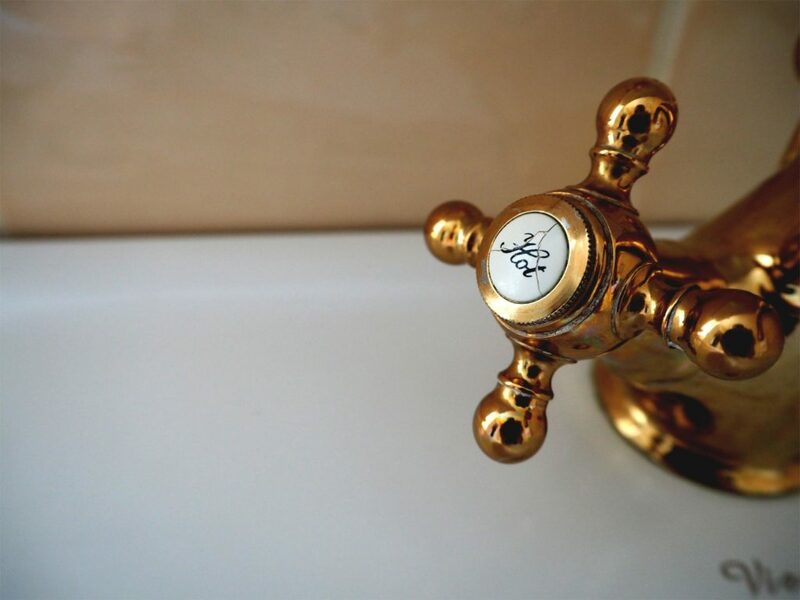 Our experienced plumbers will work with you, providing all the information you need about the best options for your existing water heater, including whether it’s time to replace it.